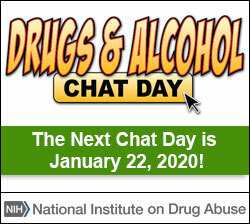 National Drug & Alcohol Facts Week / Get Activity Ideas / Footloose! Enjoy dancing? How about putting together a flash mob in the local school, mall, or Movie Theater to show what a great dancer you are! Wear t-shirts with drug facts displayed on them, and get moving. Your dance routine will both impress and educate people. Make sure to livestream your flash mob on Twitter, Facebook, Instagram, or Snapchat and use the hashtag #NDAFW!